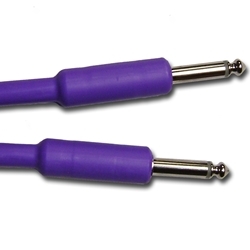 The perfect cable for the more demanding musician. Using a braided shield, it provides a quieter cable combined with a durable matte PVC jacket. Additional strain relief is provided by heat shrink over the connector.